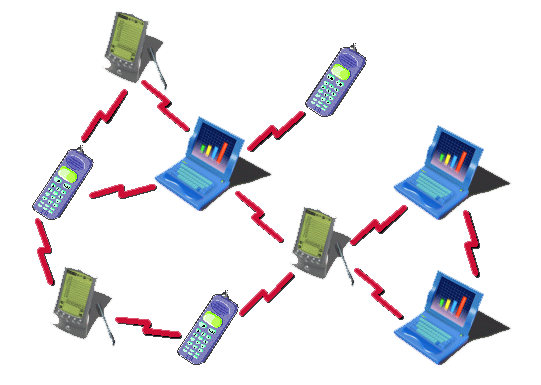 Krish-d-CSE©: Setup a LAN of laptops without using Ethernet Cables. Setup a LAN of laptops without using Ethernet Cables. A big HI fellas.. After a long time.! I've seen certain gang of my friends who are addicted to gaming., that too who play in a network. Obviously, they need to spend for buying Hubs(or switches) and Ethernet cables of required numbers and lengths. First of all, turn on the wi-fi in your laptop(Also possible if "Wi-Fi Dongle" is present in your PC". Open "Network and Sharing Center" from Control Panel. Then, click "Setup a New Connection or Network" button. 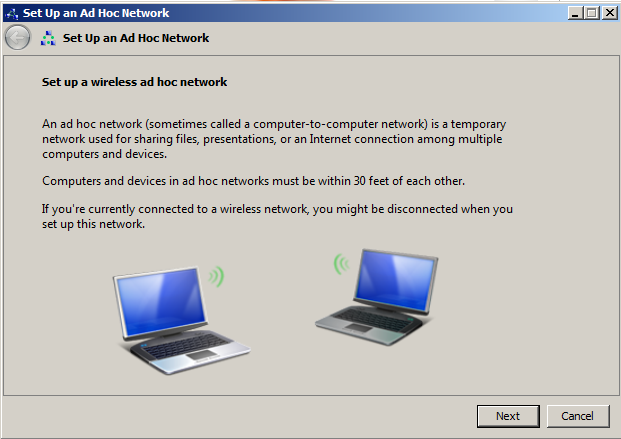 After that, select "Setup a wireless ad hoc network". Select "WPA2-Personal Encryption type" as it is the most secure. Give a password and Check the "Hide Characters" and "Save this network" Checkboxes. Click "Next" and you are done creating the "Wireless LAN Profile". When you click "Connect" on the Ad hoc profile you just created, your Laptop (The one in which the profile was created) starts to act as "Wireless Hub" and shows "Waiting for users" status message.